Would you like to start hosting people through Airbnb and offer your apartment to travellers? Then look no further! We guide you through the fundamentals and help you offer your guests unique experiences while preventing the mistakes that many other fledgling hosts make. In addition, at the end of the post, you can download all our advice as a checklist. Are you allowed to let? What’s the deal with taxes? What insurance should you take out? Before you start renting out your place, it’s important to gain an insight into potential legal restrictions. Some cities have enacted laws to limit or prohibit short-term rental. Also clarify whether Airbnb takes care of the tax calculation, or if you need to do this yourself. The to-do lists of all hosts should also include checking your insurance. Airbnb might offer Host Protection Insurance, but this does not replace the necessary homeowners insurance. What should I consider when uploading and taking photos? How do I determine the right price? You’ve informed yourself of all the legal conditions. Now you can start by creating a listing. Try to describe your accommodation as clearly as possible. Put yourself in the shoes of your guest and think of the information that would be relevant to you if you were to book somewhere. Because Airbnb is a global player, your guests can come from many different countries and speak a variety of different languages – over 25, in fact! Are you planning to offer a description in various languages? Then make sure to order a translation from a professional translator. A picture is worth a thousand words, which is why you should also make that your photos capture your accommodation in its best light. Your guests will be delighted to see a spotlessly clean apartment with custom details, photographed by a professional. Your pricing strategy is also of great importance to your potential guests. Have a look at other listings in your area to determine a reasonable and attractive price. How do I deal with « difficult » guests? How quickly should I respond to requests? What might seem obvious to some can often turn out to be more complicated in real life. Always stay friendly, even when handling questionable or brazen requests. Try to respond to requests as quickly as possible. Your potential guests might book an alternative apartment while waiting for your response. As a general rule of thumb, you should try to respond within 24 hours. You’ll also notice that responding quickly helps improve your ranking. What kind of information do my guests need if I want them to able to find my apartment easily? How does 24/7 access with a Smart Lock work? Give your guests all the necessary information so that they can quickly and easily reach your accommodation. A concise description of the directions to your place (e.g. public transportation from the train station or airport) are a real help and can prevent an unnecessary back-and-forth. The next step should involve you giving consideration to how you want to hand over the keys. You can use the Nuki Smart Lock, for example, to offer your guests access to your place without being there in person. Providing your guests comfortable and easy access to your apartment is another course of action that will positively influence your ratings. TIP: Use Airbnb partner offers. 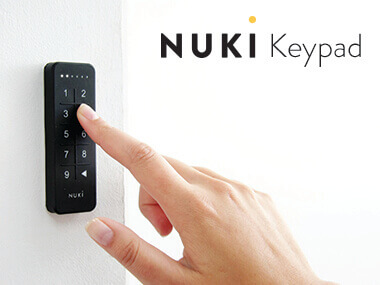 You can get a €50 discount on a Nuki Smart Lock. Do I need to hire a cleaning service? What details do I need to keep in mind? How can I stand out from other hosts? Your apartment should always be in perfect condition when your guests arrive. However, this might be particularly difficult if you don’t live in the area. Finding the right service partner can be a great help. 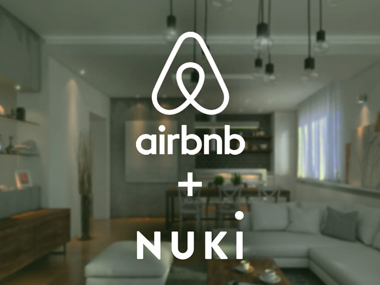 If you use a Nuki Smart Lock, you can assign digital access permissions which are limited to certain times slots, and you can also withdraw access permissions at any time. This way, your apartment is ready to receive the next guests and your cleaning staff can only access the apartment when needed. Your cleaner can also take care of some small inexpensive details. Make sure that there’s salt, oil, pepper, sugar, and coffee ready for your guests. You can go the extra mile and stand out from other hosts with small amenities. Think about leaving a newspaper and a bottle of regional wine, offering a free Netflix account, drafting a list of activities in the area, and providing a map of the city with your address marked on it. What safety features should I think about? How do I stay available for my guests? Prepare for emergencies to create additional trust with your guests. You should always install a smoke detector in your place, offer a well-equipped first-aid kit, and list the most important emergency phone numbers. Additional services could also include providing a safe, for example. On top of this, you should be available in cases of emergency and give your guests a contact number. The following basic principle applies: the better you provide all the necessary information to your guests, the less time you’ll spend discussing the basic details. If you follow all these tips, your guests will be delighted to stay at your accommodation, which is then reflected in good reviews that will drive up the value of your listing. Being a host on Airbnb is fun, convenient, and really pays off! And that money could be an easy way of topping up your holiday fund, for example. This is part 1 of our 4-part blog series on “Smart Rental”. Our next article is coming soon.